I was there for the beginning of it all: when fidget spinners first struck the shelves. There were spinning toys and buttons to push and wheels and lights and a million different styles to choose from. They help you focus. That is weird because it seems like toys that could be so distracting wouldn’t be the best choice. Fidget toys were great because they gave you something to do with your hands. Doing so helped leave your mind free to focus on other things going on. They could help while you read, or listen to a lecture, or even consider a question. It was chaos in my store; people were buying fidget toys in bulk for their friends and family. People acted like it was a craze that would fade out, but it didn’t. Instead, as kids got bored with the fad and moved on, adults stepped in. We discovered a whole line of these toys for ourselves. Fidget toys are designed to assist those who were easily distracted and need something to stimulate them. Originally intended for those who were on the autism spectrum, they were quick to expand to all people who might have focusing issues. They were made to help people focus better on tasks at hand, or keep people calm and able to handle what is going on around them. Toys like spinners or cubes became popular with adults who often have complicated jobs or tasks to focus on. Strange to think that toys definitely can be a staple in the office or at your desk. My husband wanted a fidget toy for work at his insurance sales job. So of course I bought him one! He said it helped him when he was on a long call. It’s so easy to zone out or be distracted. Having something in hand could ground you. Here are some of the top toys going around that are meant with adults in mind. 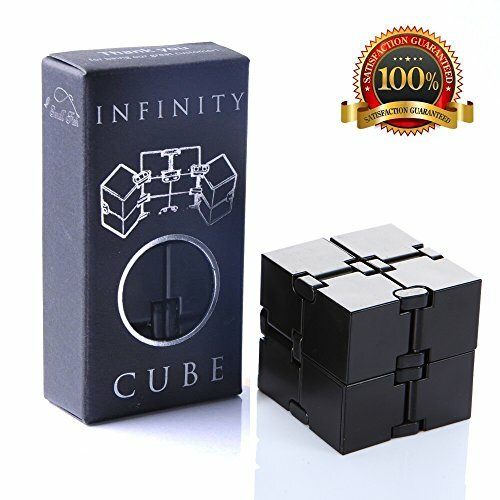 This is a beautiful and complex cube meant to stimulate your mind and occupy your fingers. It is simple, quiet, and manageable without being noticed. ✔ TOP QUALITY MINI FIDGET MATERIALS WITH A SAFETY CERTIFICATE - Composed with eight (8) tough ABS plastic blocks linked together with strong stainless steel metal rivets. Durable and can withstand constant flipping and folding. It has a smooth surface and curved edges that are easy on the hands and light on the wrist and arms. ✔ It has also met and exceeded the ASTM International Toy Safety Standard which guarantees it can be passed on to siblings and friends. ✔ ANTI-ANXIETY AND STRESS RELIEVER STRESS CUBE - A great way to release stress from school and work. Avoid nail biting, knuckle cracking, leg shaking and other fidgeting habits with the use of this gadget. Also improve your focus while studying, working or brainstorming, simply flip and fold. Relaxing, noiseless and compact tactile sensory never ending cubes. ✔ ADDICTIVE AND FUN FIDGET DICE GAME FOR KIDS AND ADULTS- Have fun for hours while practicing and improving finger flexibility. Keep your hands and minds busy during class or work. Lessen phone and other technology induced stress. It's a wonderful desk accessory, time killer, conversation starter and everyday carry device. Great office desk accessory when not used or played with. ✔ BEST NEW GADGET IN 2018 WITH A GUARANTEED WARRANTY- Ultimate small toy for all boys, girls, men and women, school students and office crowds. Caution: not suitable for a kid 3 years old and below, parental guidance for toddlers age 3-7. Give as gifts for birthdays, Christmas and any other holidays as well as a get well soon gift. Get a 1 YEAR WARRANTY with 100% Money Back Guarantee, it's the best deal. Order now. Have you ever played with a length of bike chain as a kid? I know I did, to my parents annoyance. This is the perfect small trinket to play with in your pocket. 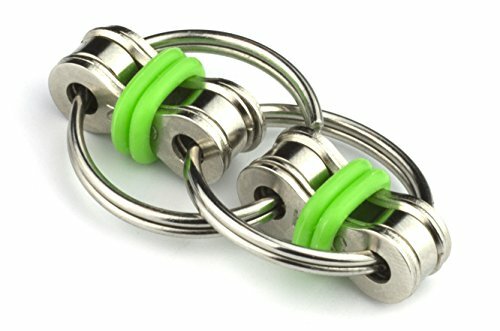 LOWER YOUR STRESS AND ANXIETY: The flippy chain fidget has helped people to quit smoking, lower stress levels, succeed in school, stop biting nails & picking at scabs, relieve social tension at parties or gatherings... even improve relationships. The list goes on (Just scroll through the hundreds of reviews if you don't believe us). 100% SATISFACTION: If you don't absolutely LOVE the flippy chain fidget, hit us up for a full refund. We're only happy if you're happy. A spinner with multiple functions, this one provides endless fun and can occupy you for hours. It’s a but too noisy and noticeable for work but great for watching a movie or conversation at a cafe. 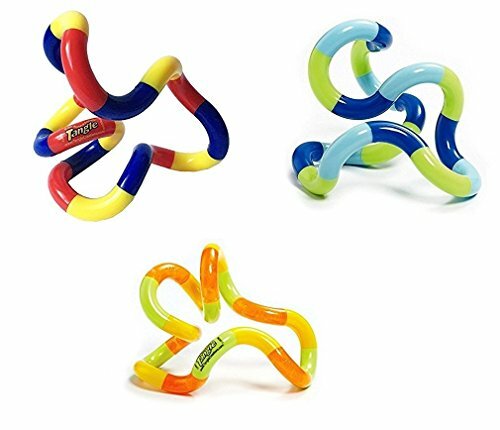 ★ NEWEST STYLE - The most unique fidget toy ever, based on the theory of the double pendulum and random motion (Chaos Theory). It means the movements are unique and follow different paths each time you spin. ★ VERY FUN - The ways of fidgeting with this fidget spinner are endless. You can flick it, let it drop and spin, balance horizontal while small movements make large unpredictable results, generate endless spins by perpetual motion, spin 1 or both arms and many more. 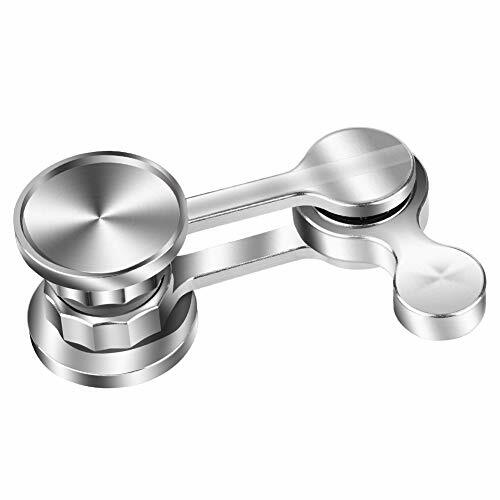 ★ DURABLE - Full stainless steel construction, machined grips and arms, not easy to break when falling off; 2 hybrid ceramic precision bearings are used in the design of the Pendulum. This gives ultra-smooth spins and friction less rotation. ★ KILLER OF STRESS -- Great for releasing anxiety, relaxing, staying awake, ADHD, ADD, autism and other attention disorder issues. Helps you calm down while stressful, kill you time while you are boring. ★ MONEY BACK GUARANTEE - Remove stress and enjoy the occasional pass-time spin fun. Anything else and we'll process a full money-back refund for you. Your satisfaction is our priority, no questions asked! These toys will look great on your desk and add a little pizzazz to the office. A few different ways to play with them, these are obviously meant to amuse and keep you occupied without grabbing attention. This is the mother-lode of fidget toys offering you 12 separate sides to make sure your neurons are always firing and your fingers are always active. ◆Newest Fidget Dodecagon 12 Sides fidget cube to keeps minds and fingers occupied.Size is 2.1*1.93*1.93", great for kids and small hands. 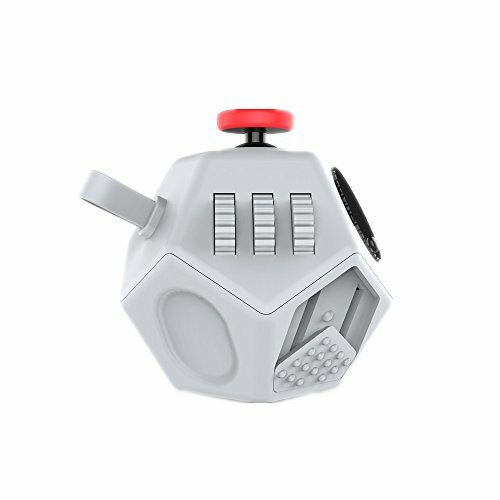 ◆12 sided fidget cube has 12 sides guaranteed to keep your hand busy. It's made with high-quality ABS plastic which has smooth surface, give you smooth click roll, great for clickers, flickers, rollers and spinners. ◆12 Sides Includes Gears, Buttons, Joystick, Switch, Soothes, and Stress Balls, Disk, Silicone balls, Joystick ect... Release your body and mood and help you focus on your work or study. ◆Gift package. The figit cube comes with an nice protective gift case . The extremely portable and pocket size which is easy to carry, play anytime, anywhere. Perfect device for school, work, meetings, church, libraries and more. Important notice: The authentic products is sold by MagXanadu, we never give authorization to any other seller. Please read carefully before order. This is a great option to bring to work and share with co-workers, or to make sure you have a fidget toy every place you like to spend time. There are different types to explore as well, so you can figure out what works best for you. 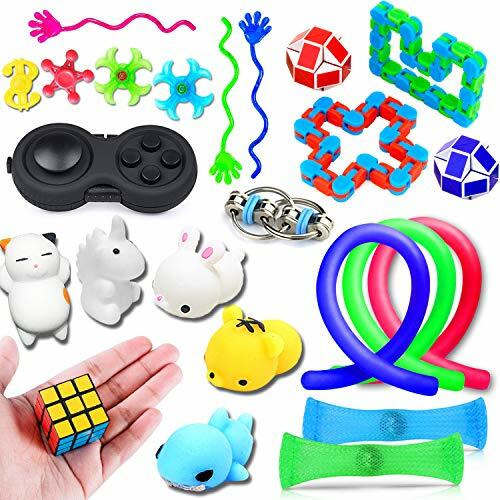 PACK OF 24: 5 mochi squishies, 1 bike chain fidgets, 3 stretchy string toys, 2 mesh and marble sensory toys, 2 tracks fidget toys, 2 snake cube twist puzzles, 1 speed cube 3*3*3, 1 fidget pad, 4 mini fidget spinners, 3 sticky hands and 1 stickers. POPULAR USES: For Christmas or birthday party favors, classroom projects, novelty gifts and presents, home or school activities. Great design for anxiety, focusing, ADHD, ADD, autism, quitting bad habits, etc. Helps relieve stress. Super Value Pack for Christmas Party Favors. Perfect for Christmas Scene and Decoration, Christmas Parties Prizes, Christmas Giveaways, Christmas Goodies/Goody Toy Gifts, Miniature Christmas, Miniature Novelty Toys, Christmas Goody Bag Fillers, Christmas Treats for Kids, Christmas Piñata Filler and Christmas Novelty Toys. This is a different kind of toy. It does more than other types of spinners, and does it better. It has a unique design so won’t feel like you’ve copied someone else. It will entertain people of all ages. For what it costs, this one is certainly worth a try! Although the quality and entertainment value won’t be what you could get from some of the options in our list.